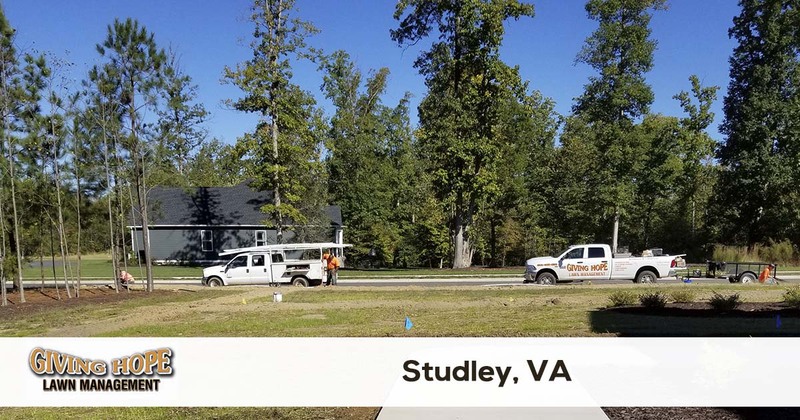 Giving Hope Lawn Management is proud to serve the community of Studley with professional lawn care and landscaping services. For more information or to get a free quote call us today at 804-839-8340. It feels as if around every turn, Virginia has something unique regarding our country’s history. Even somewhere quaint like Studley, VA, has a slice of American history! Our village is home to the famous figure Patrick Henry. As an early political figure, he’s still quoted giving his final speech. One thing that is more challenging to find, however, is reliable Studley lawn care services. It seems as if many landscaping companies just don’t have the options your yards need. Instead, you can always trust your lawns with the team behind Giving Hope Lawn Management. We’re still the top name in local landscaping options since 2011! Sometimes it feels as if the only landscaping available for your home or business is monthly grass cutting. But what about when you need a more in-depth service? Soil grading, mulch delivery, irrigation systems services, and more, should all get included in your landscaping service. That’s why our company continues to offer more types of yard care options at the most affordable pricing possible. We want our neighbors to have the opportunity to enjoy their yard spaces. That is why we continue achieving better yards at lower rates! From new construction lots to better monthly services, our team does it all. Save more on your best landscaping options and call us today! Why should you spend a fortune on lackluster lawn care? Instead, choose the team your yards deserve! Call today for your best landscaping solutions. We can save you more on your best lawn every day! Giving Hope Lawn Management is the industry leader for lawn care and landscaping in Studley. We offer a 100% satisfaction guarantee with all of our services, so there is no risk for you to give us a try. Give us a call today for the fastest service at 804-839-8340.